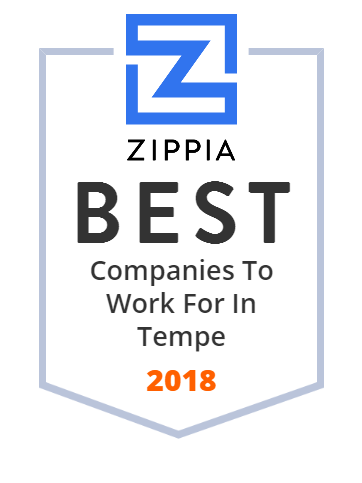 We hand-curated a list of the best companies to work for headquartered in and around Tempe, AZ using data on salaries, company financial health, and employee diversity. LifeLock Inc. (NYSE:LOCK) is an American identity theft protection company based in Tempe, Arizona, was founded in 2005, and as of February 2017, it is a subsidiary of Symantec. This business offers identity theft protection system that is intended to detect fraudulent applications for various credit and non-credit related services. They have a range of 500 to a thousand numbers of employees with a reported revenue of a hundred million to one billion dollars. Versum Materials, Inc. is a leading electronic materials company providing high-purity chemicals and gases, delivery systems as well as services. Their experience in specialty materials goes back decades. This company already had more than a billion of reported revenues and has a thousand to 10,000 numbers of employees. Arizona State University is a public metropolitan research university in Phoenix metropolitan area. They have five campuses locally and four regional learning centers throughout Arizona. They provide 150 online programs. Salt River Project (SRP), founded in 1903, is an agency of the state of Arizona that provides electrical services for the Phoenix metropolitan area and primary water for much of central Arizona. SRP is the umbrella name for two separate entities: the Salt River Project Agricultural Improvement and Power District. They have a thousand to 10,000 numbers of employees and have over a billion of reported revenue. Insight Enterprises Inc. is a leader in providing smart, cutting-edge technology solutions for global organizations of all sizes. Their services are designed to optimize investments and modernize businesses. This company has a reported revenue of more than one billion and has 1,000 - 10,000 employees. The business is listed on the Fortune 500, and has offices in 22 countries with operations in 200 countries and territories. Cytec Engineered Materials Inc. was founded in 1993. They produce specialty bonding adhesives and composite materials which include ablatives, carbon-carbon materials, silicone-based sealants, specialty thermoplastic materials, and carbon fibers for aerospace, automotive, and industrial applications. They have facilities in the US as well as in the United Kingdom and Germany. Circle K has been in the convenience retailing industry for more than 60 years. They started when Fred Hervey purchased three Kay's Food Stores in El Paso, Texas. Today, the company has become one of the most successful when it comes to retailing. Since 2013, Carvana has been providing car shoppers a better way to buy a car. They sell used cars online and accept financing. This company has a thousand to ten thousand employees and has a reported revenue ranging from $100 million to $1 billion. The ASU Foundation, a private and non-profit organization, invests, manages and raises funds for Arizona State University. June 22, 1955, when The ASU Foundation was being incorporated as the as the Arizona State College Foundation. Amkor Technology is a semiconductor product packaging and testing company that was founded in 1968. As if 2014, they had 21,900 employees worldwide and a reported $3. 1 billion in sales. They provide wafer processing, advanced bumping, wafer probing, assembly, system-level testing, burn-in and end-of-line services, to name a few. DriveTime Automotive Group Inc. is an American used car retailer and finance company. It is based in Tempe, Arizona, and sells and finances cars to customers around the nation. The company was formerly known as Ugly Duckling and was renamed DriveTime in 2002. It also spun off Carvana and GO Financial, SilverRock Group Inc, and Bridgecrest Acceptance Corporation. As of 2018, DriveTime had approximately 145 locations in the U.S. and 3,800 employees. AV Concepts is an audio visual & event production company that partners with brands, agencies and other partners for technical and creative event solutions. J. Banicki Construction, Inc. was established in 1991. It is a successful heavy civil construction firm serving municipal clients within the primary markets of aviation, bridges and structures, roads and highways, water/wastewater infrastructure, facilities and utilities construction.